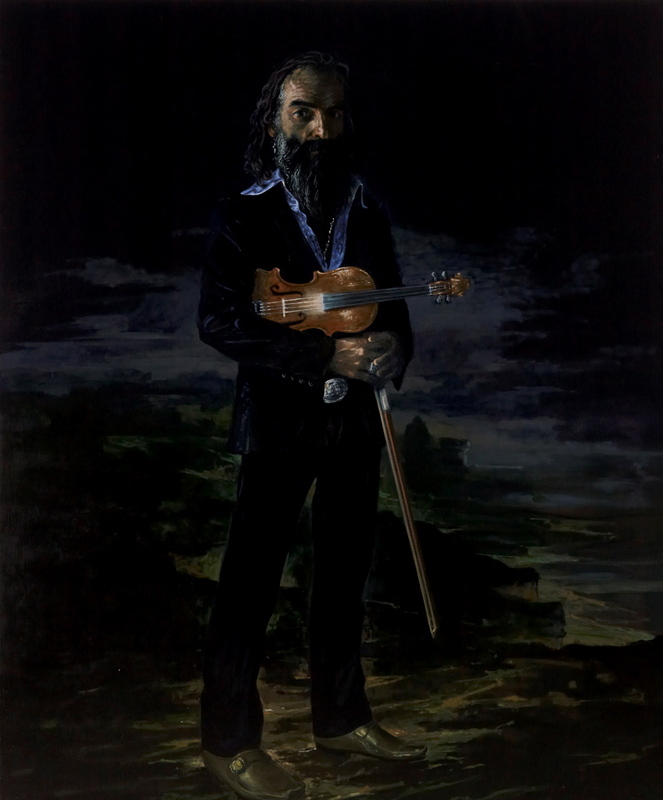 Warren Ellis is an Australian multi-instrumentalist and composer. Known for his electrifying stage presence, he is a key member of three internationally acclaimed bands – Nick Cave and the Bad Seeds, Dirty Three and Grinderman. He and Cave co-wrote the film scores for The proposition , The road , Lawless and The assassination of Jesse James by the coward Robert Ford . ‘This is my second portrait of a prominent Australian rock 'n’ roll musician,’ says Michael Vale, who was a finalist in last year’s Archibald Prize with a painting of rock musicians Dave Graney and Clare Moore. ‘I am interested in portraying the place or atmosphere where the music created by the sitter takes me. Warren Ellis’s music is simultaneously beautiful, melancholy and wild. His film scores, written in collaboration with Nick Cave, are truly haunting. Vale, who is based in Melbourne, works with painting, film and installation, and also curates, writes and teaches. He is currently employed as a lecturer in painting and film at Monash University, having completed his PhD there in 2006 with a multimedia art fiction project entitled Le Chien qui fume – a smokey life . In 2007 he was included in the Salon de Refusés with a ‘self-portrait as a smoking dog’.